Looking to Gain Wealth? Its sort of a dumb question. Of course, everyone wants to gain wealth. Most people’s problem is they don’t know how. Its hard to get a head in life. Imagine you are like most everyone else and you send about what you earn. How are you ever really going to gain wealth? Well we have a simple way to… Buy a house! 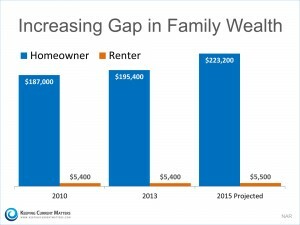 Did you know that 90% of metro areas have seen a decline in home ownership even though home prices have been on the rise and income levels haven’t. What that means is if you were to buy a house, and your income stayed the same, you would gain more wealth. On average a homes value goes up by 4% a year. This is an average number since the 80s and yes we are factoring in the bubble burst a few years back. 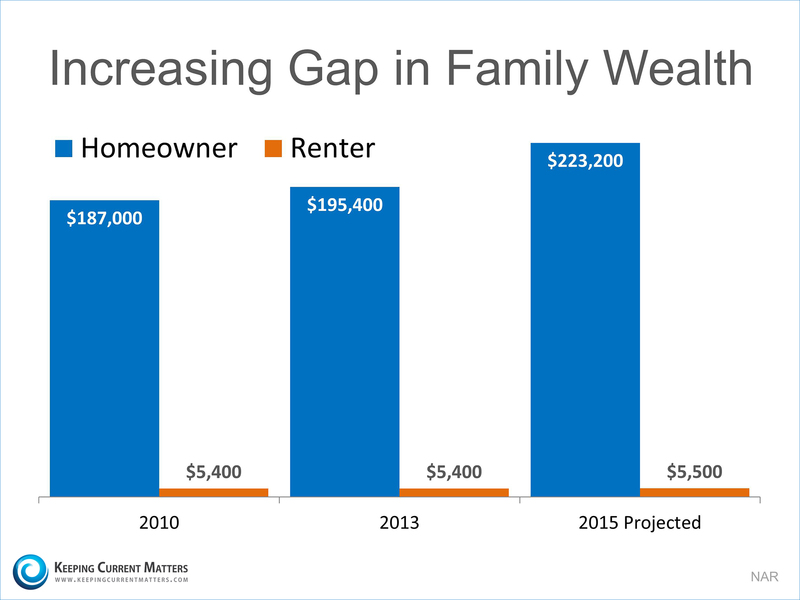 If you look at the chat it is almost unbelievable the difference in the wealth homeowners have over renters. You want to see why? Here is what we did. Lets say you a home worth $200,000 and get a loan for 100% of that at 4% for 30 years (which is doable right now) and you don’t make any additional payments to your loan. After 1 year you have only paid off $3,522 and gained (on average) $8,000 in appreciation. So year 1 you just gained $11,522 in wealth (your home’s value minus what you owe). As you can see from this breakdown and the average wealth of home owners in our graphic, after owning a home for 19 years you are today’s average. If you rent there is a simple breakdown going on, however its for your landlord and not you! Stop renting, find a home. If you own a home, you can do this same thing with rental properties. Check out Why Buy Rental Properties to see the other benefits owning a rental property gets you.